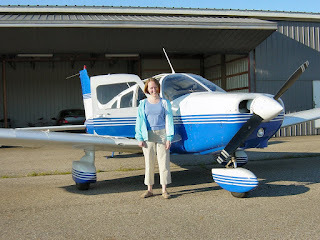 - My wife takes her first, multi-state cross country flight by general aviation and actually enjoys it. It was a big step for us both. - Mountain flying and a landing at the highest elevation public airport in the USA. - Voyage through the Hudson River VFR corridor. - Kristy and I flew to Mackinac Island (and other places) for our anniversary. - Family flight to Luray Caverns in Virginia. - A flight from New York to Florida and back again with Kristy and The Bear. - Solo day trip at the 1000 hour mark to visit the Wright Brothers memorial in Kill Devil Hills, NC. - The Bear flies to Michigan and visits the Sleeping Bear Dunes, Mackinac Island, and other places. - Landing at First Flight Airport with the family. - Visit to historic Fort Ticonderoga with the family. - Landing on the only FAA-certified ice runway in the continental United States. - Kristy and I fly to Boston in some weather, experiment with Uber, and see John Williams conduct the Boston Pops. - We make our first international flight to Toronto, Ontario. - The manifold challenges of flying cross country with a two month old infant. 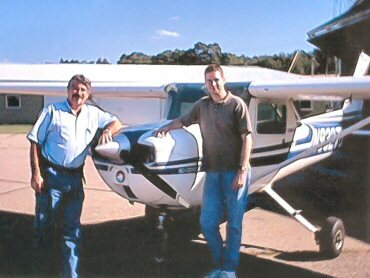 - General aviation: bringing families together since December 17, 1903 (roughly). - The Bear rides shotgun for the first time. - The Bear flies in a helicopter for the first time. - Clear the skies, five year old at the controls! - The Bear gets more comfortable at the controls. - The Bear and I returned to Luray and stopped for incredible brunch at Latrobe. 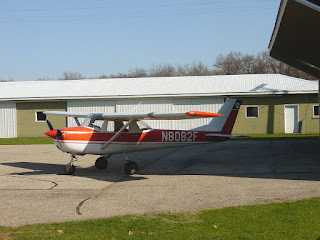 - The Bear lands on grass for the first time in Basin Harbor, VT.
- First solo in a Cessna 150 (N9327U) at Dowagiac, MI. - Set loose, alone, in southwest Michigan skies. Learning ensued. - Angst and the private pilot check ride. - Best phone call I ever made: "Hi Dad! Guess what? I just bought an airplane." - First flight in a glider. - How I came into the world of flying. - My first serious flying in real world weather and possibly my best ever flying lesson. 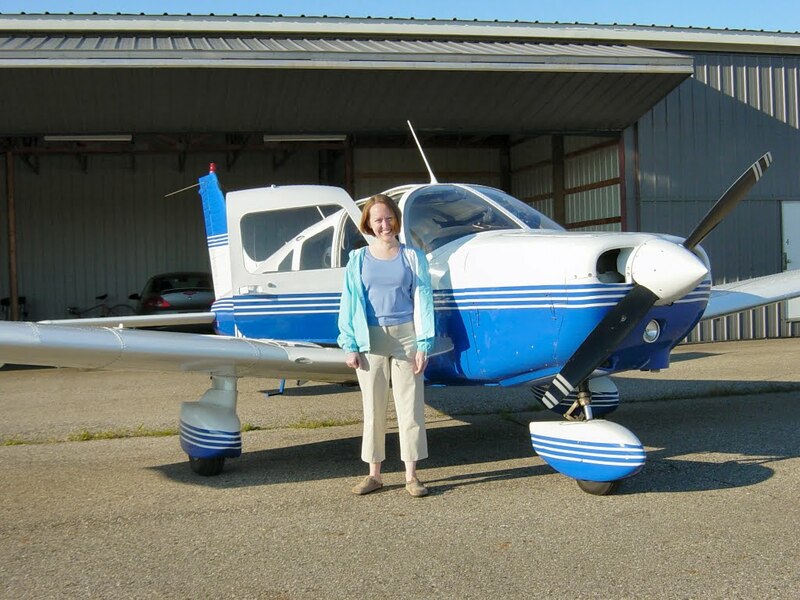 - Overcoming a check ride bust to earn my instrument rating. - A serious introduction to IFR re-routes and weather deviations on a family trip. - My first time ever truly frightened while at the controls of the airplane. Goodbye, Air Zoo, January 2006 and "Someone Told Me It's All Happening at the Zoo," September 2013. - Some museums feel just like home (because they are). - A trip back in time to a grass strip populated with 1930's era airplanes. See also: Flying the Spectrum, July 2016. - Nothing quite like a schizophrenic ATIS to enliven a trip to see old airplanes. - Visit to the American Air Power Museum in Farmingdale, NY. - A rare winter sojourn out of the local area. - How I learned that my aircraft malfunction troubleshooting skills could use some work. - Good habits can still save the day when complacency sets in. - All kids should fly an airplane before driving a car...there's less to hit up there. - A masterful air traffic controller saves the day for a novice pilot. - How I came to be based at the birthplace of Jell-O. - On being a pilot and father on 9/11. - On the bond between pilot and aircraft. - Reincarnation is real, at least for airplanes. - Aeronautical decision making is not a one size fits all proposition. - Making peace with the community whenever possible. - Difficult lessons are sometimes the best lessons. - On the love/hate relationship I have had with the radio. Whatever became of that Corsair that got stood up on its nose during an air show practice at the Kazoo airport??? I believe it was in the early nineties!! Don't know...that was before my time there. Though I have to wonder, with a nose like that, I wonder how you could stand the airplane up on it!